Situated at an elevation of about 14, sick 270 feet above the sea level, sale the Pangong Tso Lake in the Himalayan region extends from India to Tibet, with 60% of it lying in the Indian claimed Chinese territory. 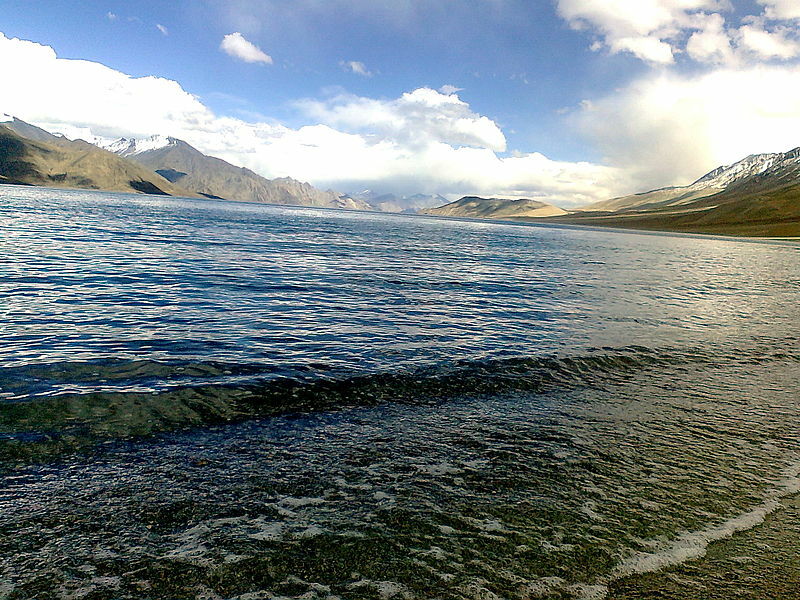 a trip to Leh and also visit the Pangong Lake. From October onwards, it completely freezes, despite the fact that it has saline waters. The temperatures drop drastically and snow covers all the dry mountains that circle the lake. The brackish waters of the lake have very little in terms of micro-vegetation or other forms of marine life. And, yet tourists have often spotted ducks and gulls over the lake surface. Boating on the lake is prohibited due to security reasons as the lake still remains disputed property. So, a visit to the Pangong Lake is more observatory than indulgence. During the summers many migratory birds flock to the lake, and one can also come across herds of wildlife species like Kiang and Marmot. To get to the lake the only way is road. It’s a five hours drive from Leh and the road terrain is mostly rough and dramatic. Small villages on route are a pleasant sight. Travelers pass through Shey and Gya, the most prominent villages and traverse through the Changla pass. One also has to cross what is popular as the ‘Crazy Stream’ or the Pagal Naala. Since the lake lies on the Sino-Indian Line of Actual Control, it also becomes imperative to obtain an inner line permit to visit the lake. There are several check posts on route, and without the permit, tourists cannot tread into the lake region.